Professional soundproof studio with a 180 degree green screen 5 minutes from the city. We offer very competitive pricing with many inclusions and offer discounts when you use our team. Great for corporate videos, presentations, television commercials, live shows, web content, music videos and many more. The studio meets all criteria for working with children. 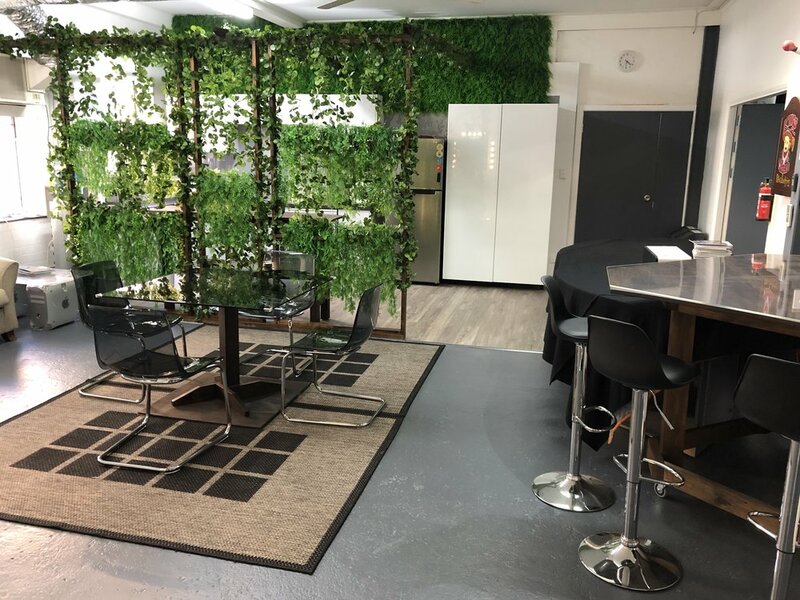 8 metres wide, 3 metres high and 8 metres deep, (4m deep green) this studio is spacious enough to cater for many productions with multiple shooting requirements. From dancers to talking heads, from product training to TV talk shows, we've done it all in our awesome studio. 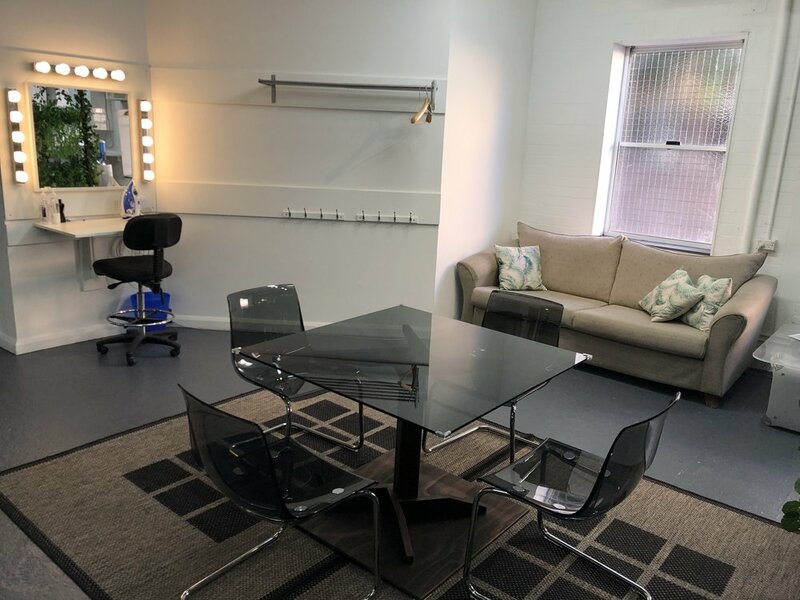 Fully air conditioned, makeup area and change room, hassle free parking and super close to Sydney CBD makes this the perfect location for professionals working in the heart of Sydney. Revolver Cafe is located 30 metres away for catering and the crucial coffee runs. The studio is pre-lit with lights for the cyclorama, with subject key and fill lights. Black curtains are already hung on tracks and adjustable for your shoot (FOC) and a white lycra cyc is available upon request (surcharge). A pre rigged Rode NTG2 shotgun mic is positioned perfectly centre of the ceiling for those ever popular talking head shoots. Just plug in and you are ready to go. With full sized kitchen facilities and prep area you will have all the space you need to spread out while your talent and crew get to work. Full production services are available in house should you need assistance with filming, editing or autocue.